WASHINGTON — It was bitterly cold and dark on Capitol Hill as I walked the brick sidewalks leading to the U.S. Capitol. I was heading to pay my respects to President George H.W. 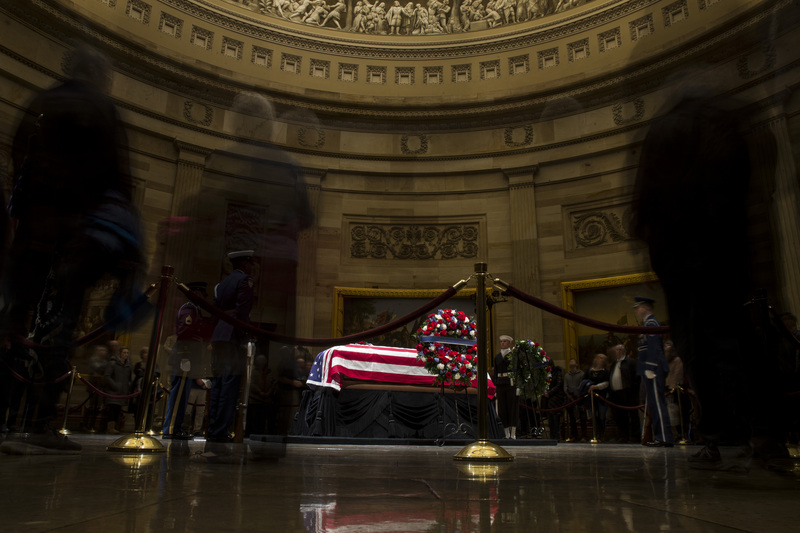 Bush, who was lying in state. 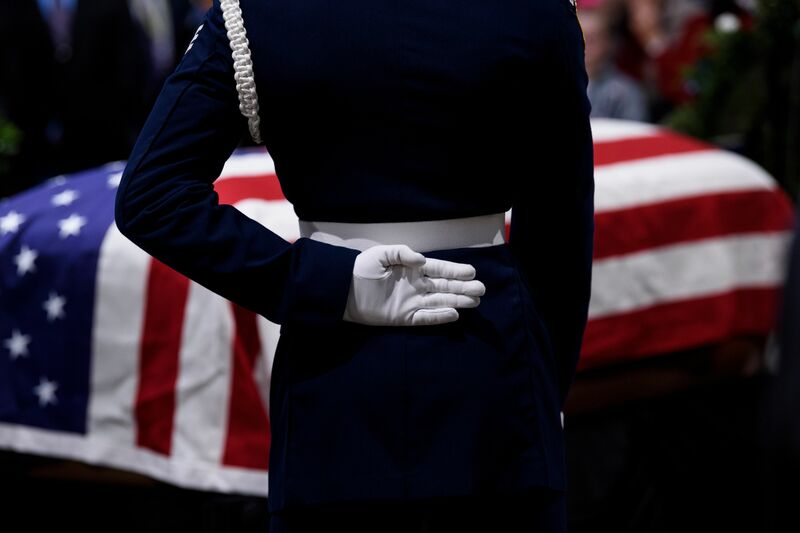 I have covered major funerals in Washington and seen my fair share of grandiose state events. However, nothing prepared me for what I saw as I approached the Capitol that night. The process for a president to lie in state is standardized. There is an official arrival ceremony, followed by remarks from gathered political leaders. 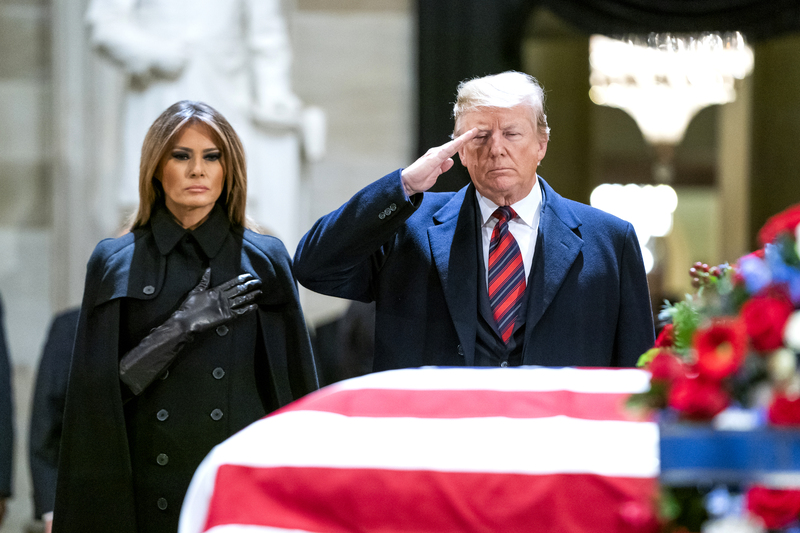 Family, friends and members of the administration look on as the dearly departed lies in a flag-draped coffin upon the Lincoln Catafalque — the same funeral board upon which Abraham Lincoln’s body rest after his assassination. 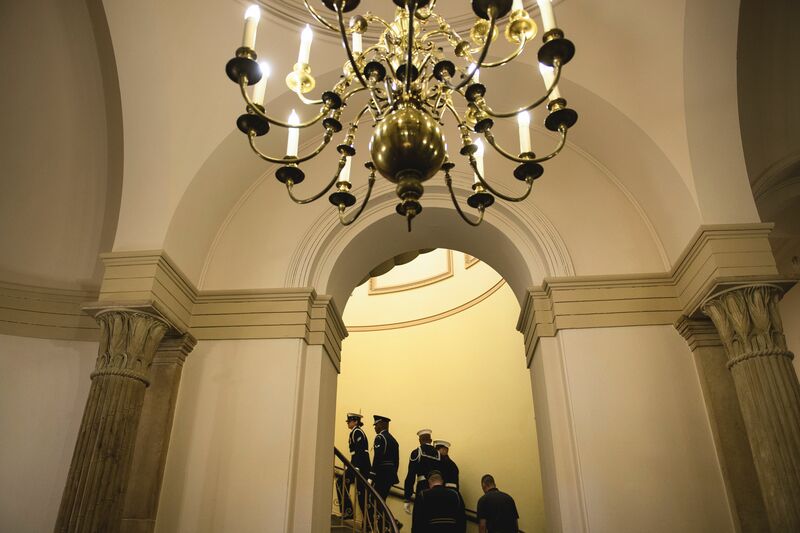 There are statues of great men and women who came before us lining the rotunda. Past authors of the American experiment look on as yet another American joins their ranks. 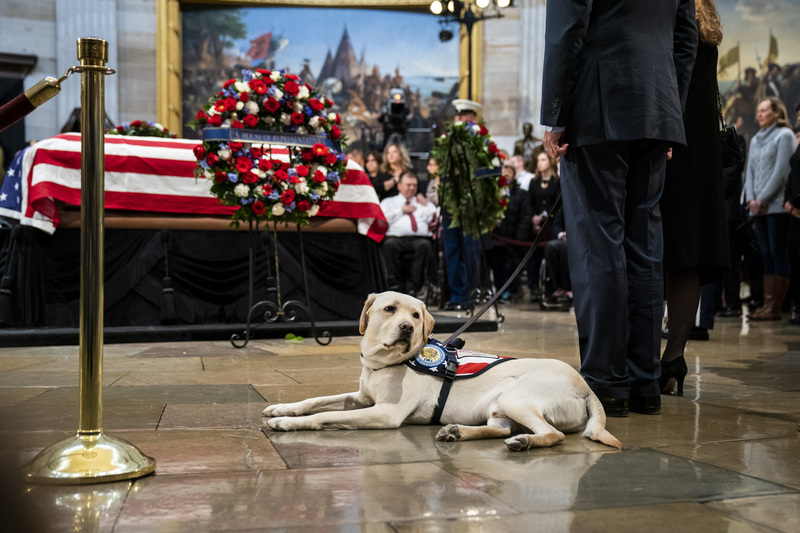 The ceremony for Bush was short and sweet: some charming remarks from congressional leaders, military motions, a song and prayer. Fittingly, a large, bronze, smiling statue of Ronald Reagan watched the casket of his vice president. 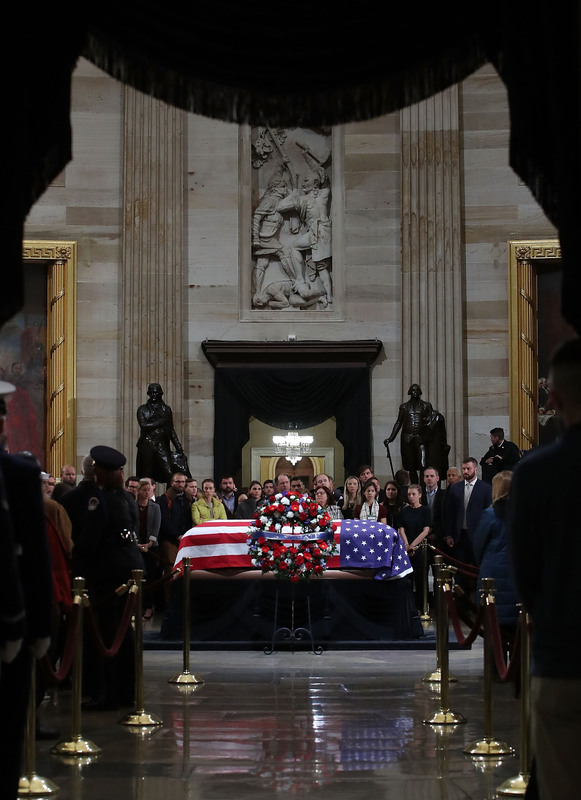 After the Bush family had walked past the casket and out of the rotunda, the great hall was opened to mourners who wished to come and pay final respects to their president. Processing to get in for such an event is grueling for both mourner and those charged with guarding the departed president. The streets around the Capitol were closed and barricades were set up to make an orderly line. 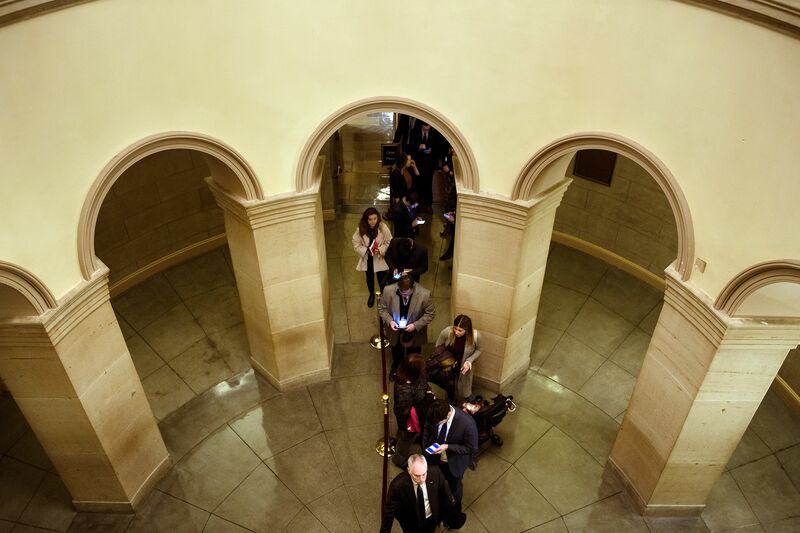 The line to get into the Capitol began blocks away from the actual rotunda and security was tight. All who entered went through TSA-like bag and body screening. The entire trip was over a mile long, according to my GPS tracker. I was traveling Monday outside of DC and couldn’t cover the original ceremony. Tuesday evening, upon my return, I walked from my home to the Capitol to pay my respects. I’ve done this walk many times. The weather was cold, in the 30s. It was close to midnight when I arrived. The image that met me upon my arrival stunned me. 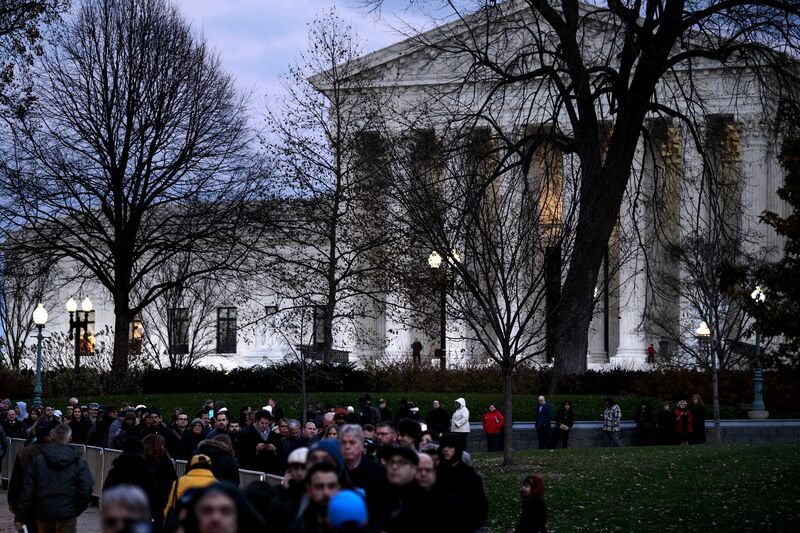 In spite of the cold, dark, late hour, thousands of people were gathered outside the Capitol. 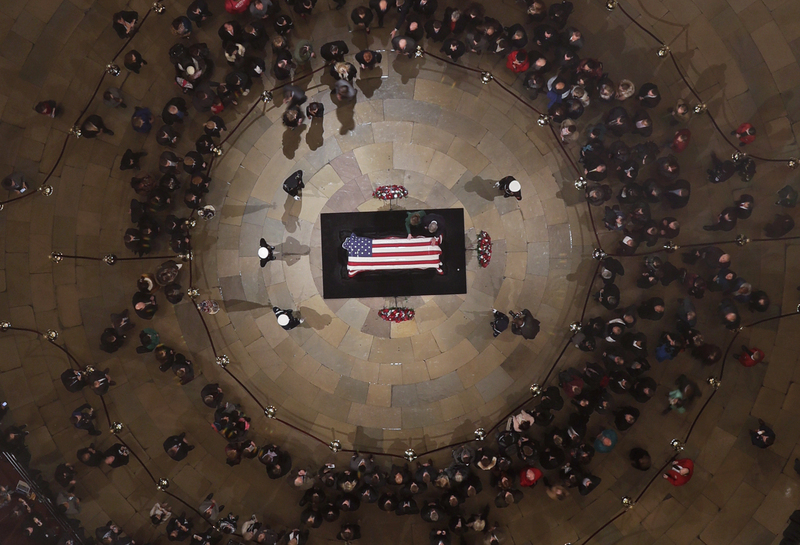 The line of mourners stretched the length of the Capitol and back seven times. I counted. One Capitol Police Officers estimated 5,000 people were in line. I attempted to film the magnitude of the mass of mourners. Walking the length of the line took 20 minutes. The mourners had far more than 20 minutes ahead of them. 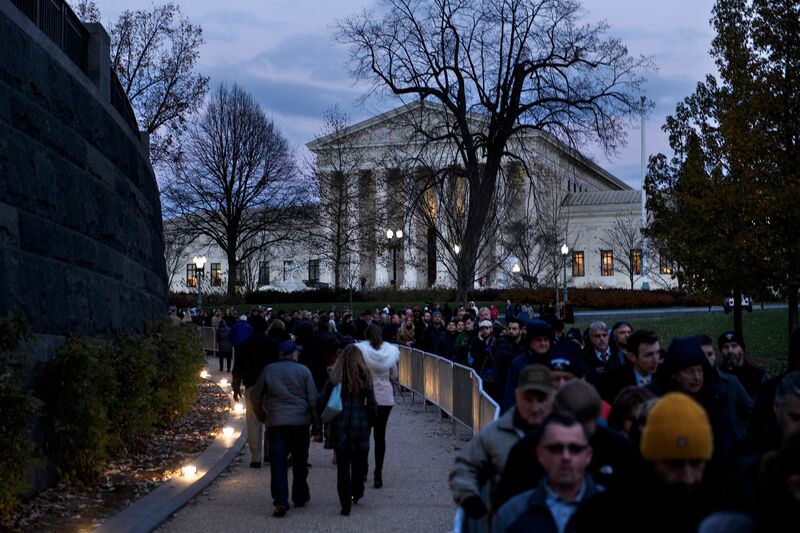 Many waited in line for more than four hours to honor Bush. 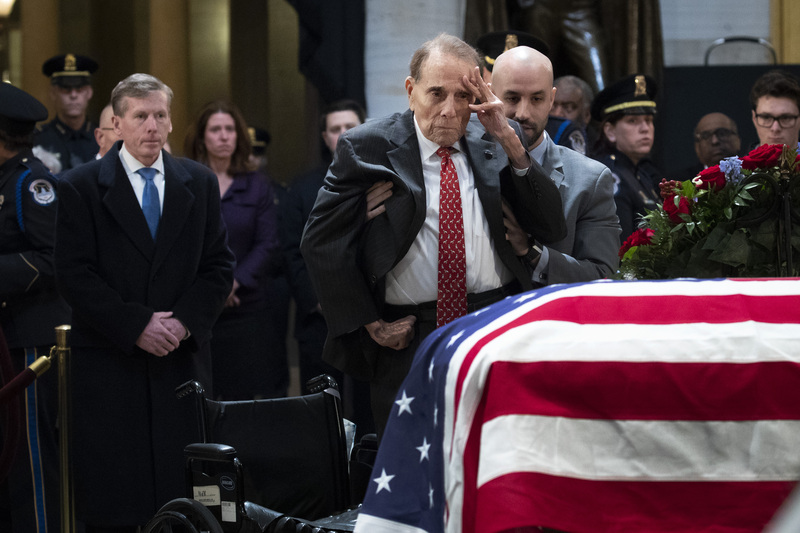 The line to pay honor to George H.W. Bush. I started at the end. Yet it took me nearly 15 minutes to film the full line that stretches the full length of the Capitol & back 7 (!) times. Four hours. In the bitter cold. Lucky for me, a press badge got me into the rotunda quickly. Upon entering the rotunda, the chill lifted. The mood was solemn and reverent. Many cried. Veterans saluted. 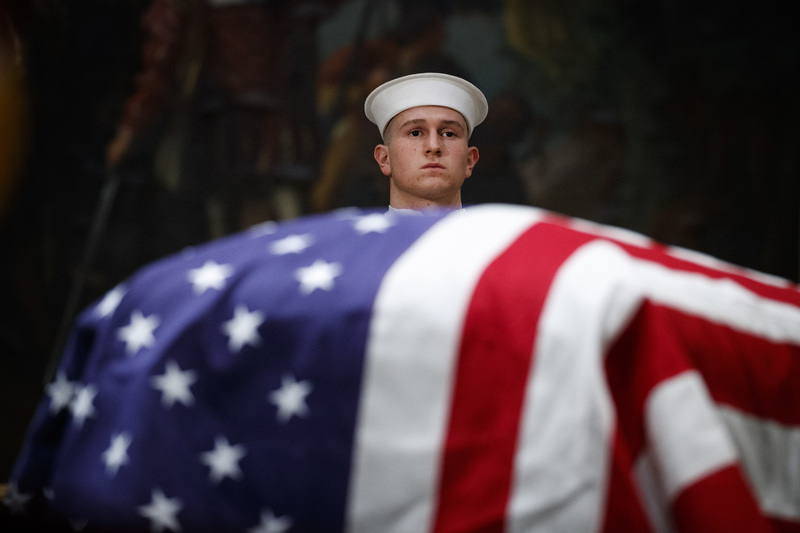 The iconic honor guard of each branch of the armed forces guarded the flag-draped coffin. It made one stand a little straighter and think a little deeper. I took my photos from the press stands and observed an hour as a flow of mourners entered the hall. After midnight I left the Capitol. The scene as I left was once again stunning. The end of the line had grown. Mourners who had hours of waiting in the cold ahead of them were cheery. I asked him if this is what he signed up for, standing in the cold conducting crowd control for hours on end into the wee hours of the morning. “You’re damn right,” he said proudly.